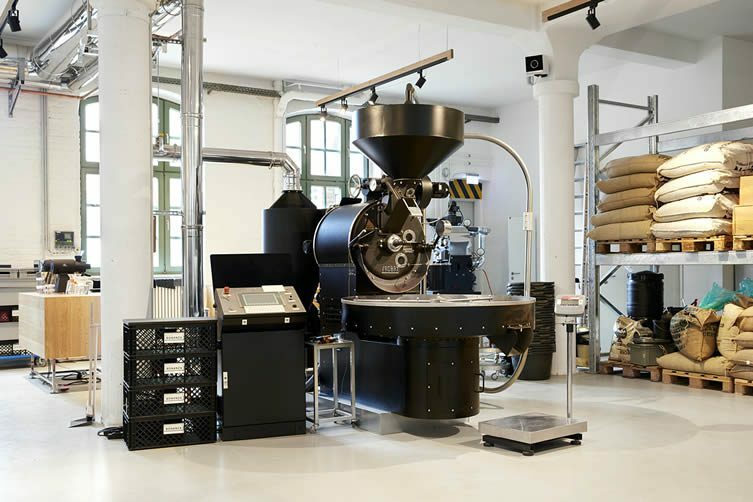 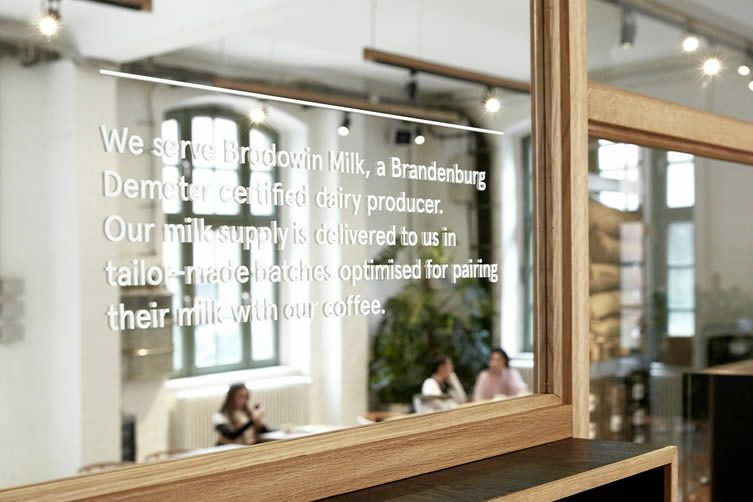 Using what is known as the ‘Retro Innovation’ method (combining the best of old techniques with the best of new techniques, continually looking for the best production practices in their roasting) it’s immediately evident that Berlin’s Bonanza coffee roasters really do care about what ends up in your cup. 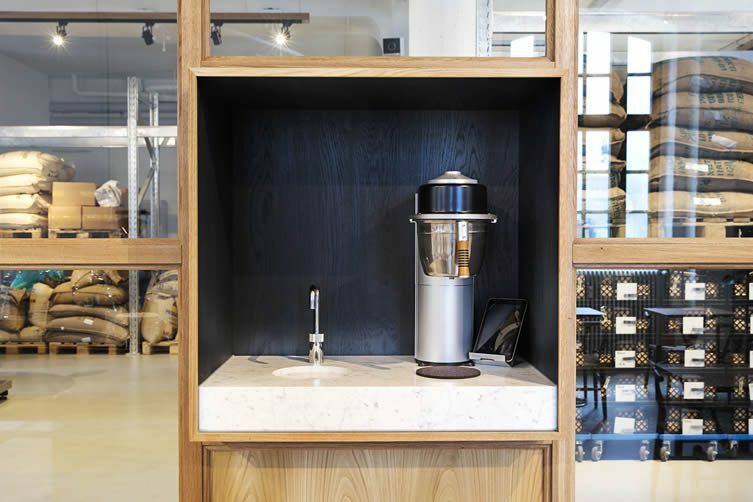 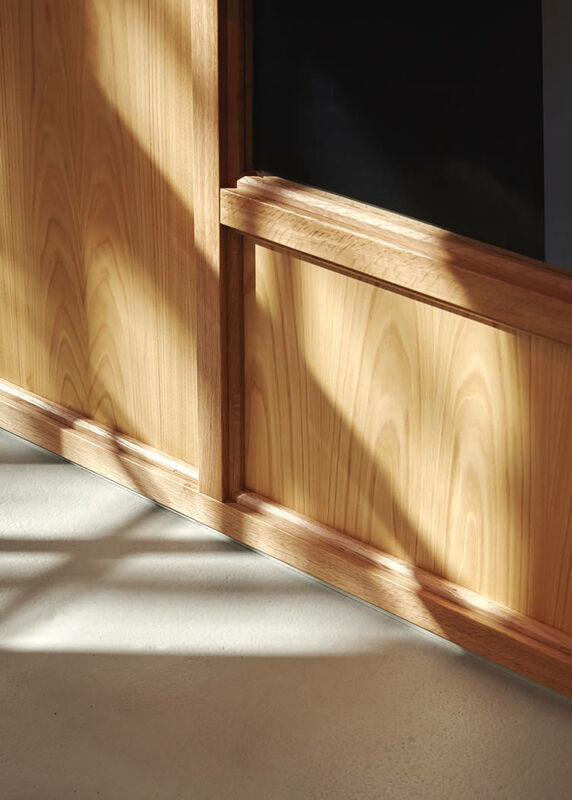 Roasting just enough to develop the flavours and highlight the delicacies, the studious bods at Bonanza believe that the serving should be clean, clear, and pure; taking into consideration the process it’s already undergone before even arriving with them. 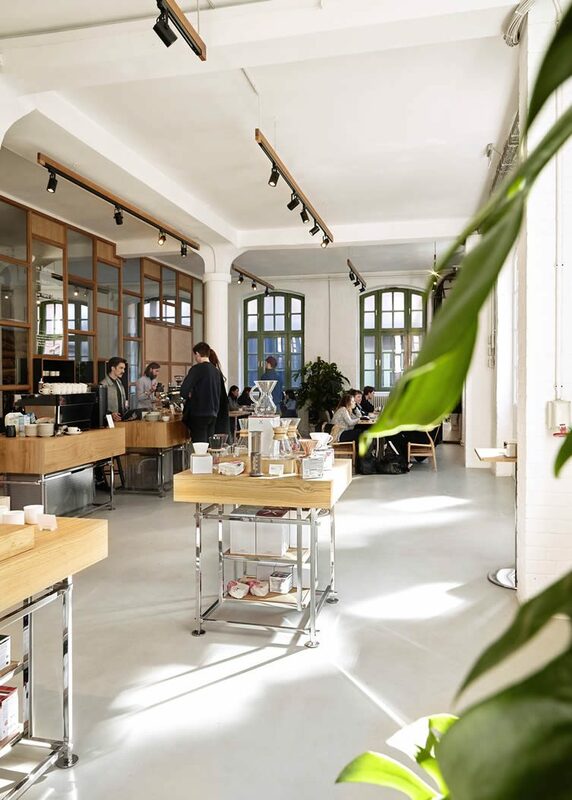 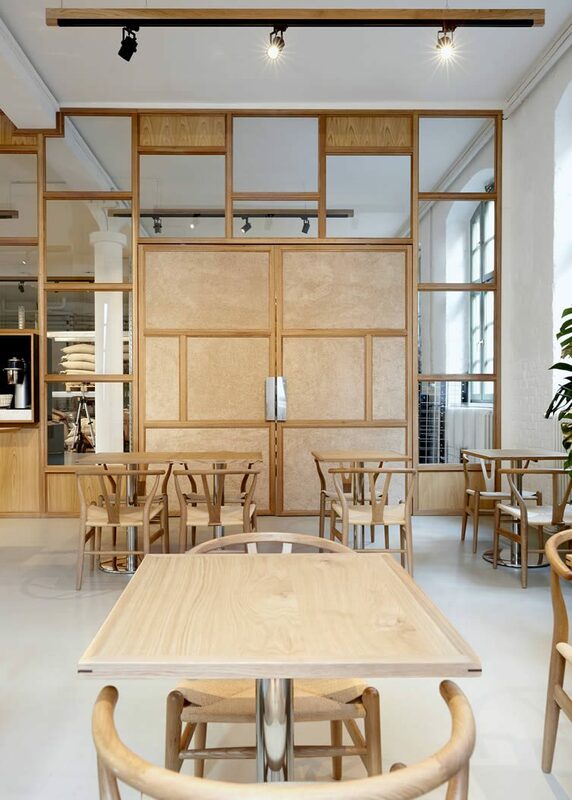 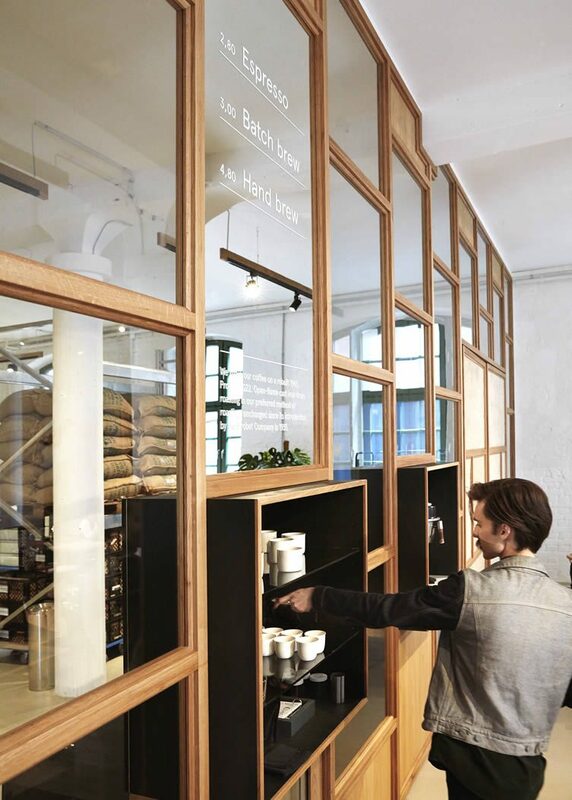 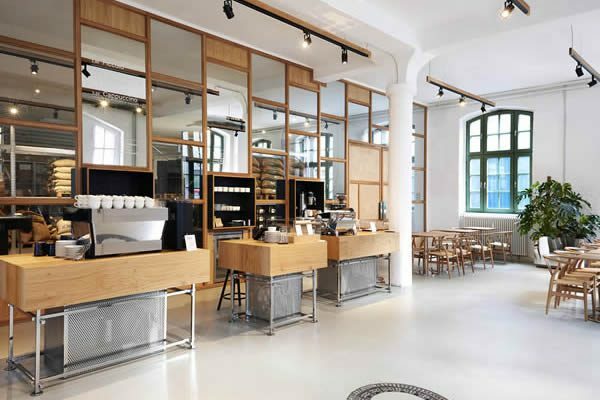 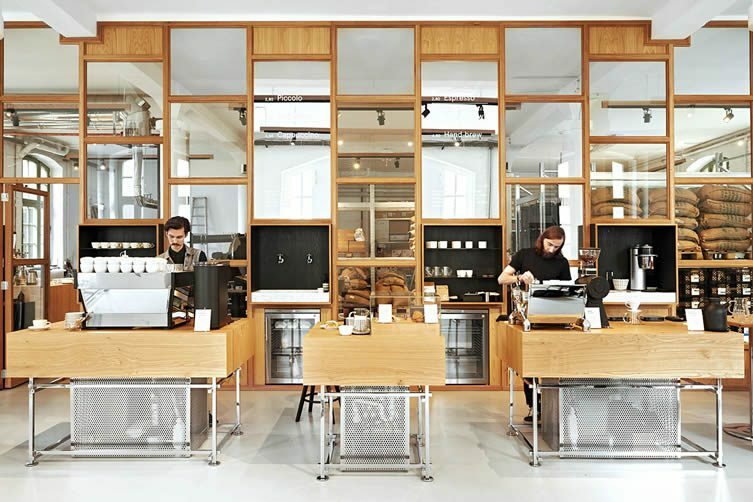 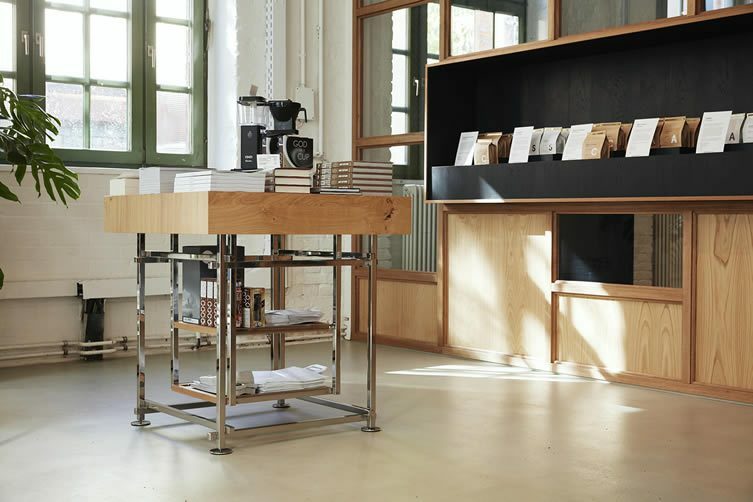 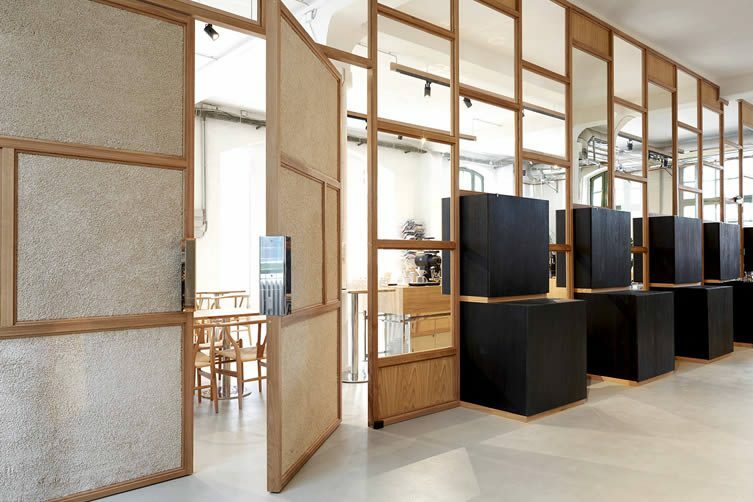 Their new and much more spacious café can be found in Berlin’s hip Kreuzberg district, in a backyard of red brick buildings just off Adalbertstraße — the handsome space (designed by Rotterdam- and Berlin-based Modiste Furniture) is light, minimalist and crammed with the ‘hood’s hippest coffee fanatics, ordering their morning flat white or latest new-fandangled drip method — the Bonanza online store enables aficionados to retain their caffeine high with a variety of beans for sale along with the necessary equipment, machines and even a niche indie print publication dedicated to the craft of coffee.